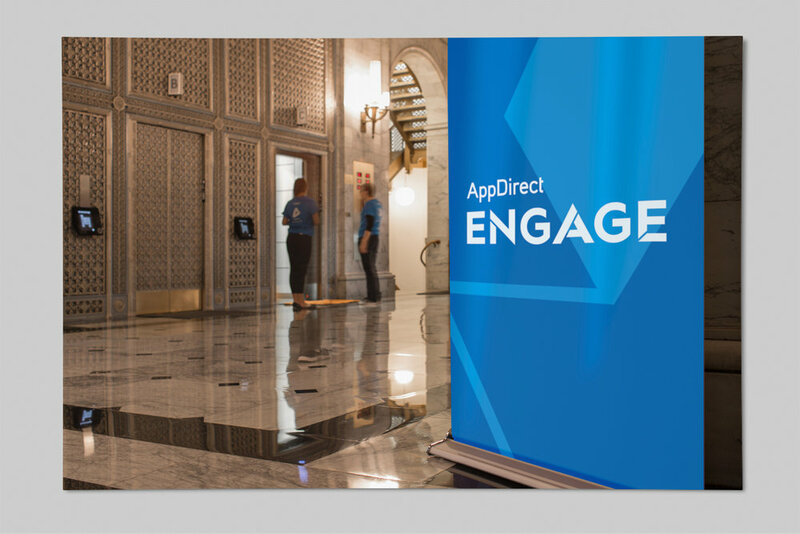 As the leading commerce platform for selling cloud services, AppDirect’s annual partner conference, Engage, is the premier event in the industry. Now in its sixth year, the event featured speakers from some of the world’s leading tech companies. Our identity design, website, environmental graphics, marketing collateral, and presentation materials have helped us score an impressive NPS of 61, with an 82% year-over-year increase in registrations. The design team support multiple events each year, including the Digital Economy Series, our roadshow event where we bring a taste of our conference to smaller groups in North America and Europe.